TAITRA organized a Taiwan franchise brand delegation from March 22 to 24, 2018, to participate in the "98th China Food & Drink Fair – Franchising and Chain Area" in Mainland China. TAITRA set up the "Taiwanese Franchise Brand Pavilion" to market Taiwanese specialty franchise brands to the Western China market, attracting many buyers on the spot with abundant business opportunities. For example, the exhibitor Wu Wha International Co., Ltd, already discussed with a potential customer from Chengdu local beverage stores for further details after the fair. A Shanxi wine merchant company intended to cooperate with "Word Design" for brand packaging design. “GODLOVE” also planed a follow-up discussion with famous local restaurant chains to seek further cooperation. Under the support of the Bureau of Foreign Trade, Ministry of Economic Affairs, TAITRA organized a delegation of 10 Taiwanese franchise brands to participate in the said fair, including Classic Laya Burger, Wu Wha Ma International Co., Ltd., The Natural Bubbles, Grandpa Tea, Shang Tong Food International Co., Ltd, Caoly Tea, Taiwan Tao, Godlove, jdg Design Co., Ltd., and Word Design. Taiwanese snacks, tea, souvenirs, and cultural and creative products were exhibited, while jointly promoting the multiple brands of Taiwan’s service industry. It attracted many local media outlets to the pavilion for interviews during the fair, including more than 5 outlets such as Chengdu TV Station (CDTV), Chengdu Economic Daily, Tianfu Morning Paper, Sichuan Economic Daily, Sichuan News Network(NEWSSC), etc. The media was impressed by the exhibitors' content, which strengthened the exposure of Taiwan's high-quality franchise brands. This Spring China Food & Drink Fair was first moved to Chengdu Western China International Expo City. The total exhibition area was expanded to 210,000 square meters, attracting more than 4,000 exhibitors and at least more than 400,000 visitors. Besides expanding compared with last year, the fair also achieved the largest exhibition area and the scale of exhibitors in history, establishing another milestone of the China Food & Drink Fair. Since the fair opened in 1955, it has always been a major event for the industry. Taiwanese franchise brands have entered the Chinese mainland market, enhanced exposure opportunities through professional platforms, and increased brand awareness, while at the same time, seeking cooperation opportunities through professional exchanges. 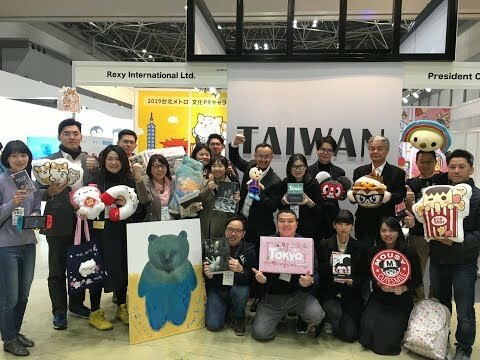 To assist Taiwan's original IP characters explore international business opportunities, for the third straight year TAITRA, supported by the Bureau of Foreign Trade, organized a trade delegation to attend the Hong Kong International Licensing Show. The Trade show closed on January 10, 2018. A total of 60 exhibitors from Taiwan participated at this year’s event, marking Taiwan the second largest country, surpassing South Korea. All the participating Taiwanese exhibitors were satisfied with the outcome and said business results surpassed expectations. TAITRA organized a Pavilion with 40 Taiwanese exhibitors exhibiting various character IP contents. During the 3 days exhibit, many professional buyers came to meet with Taiwanese exhibitors to seek cooperation. Such as Taiwan’s well-known watercolor pencil illustrator "Chrystal’s Illustration", a Hong Kong well-known drug store chain came to discuss possible cooperation of licensed products. Also, Chin Ho Li, who specializes in developing authorized gold painting of famous art works was also approached by many financial companies in making gold painting related gift products. Wind Designs’ WinBrothers was approached by China’s clothing companies seeking possibilities to develop a series of children’s clothing products. Inception’s "DINOLAB" and "Qianlong Chao" aroused the interest of many PR companies in Hong Kong in hope of introducing the IP to shopping malls for small exhibits. Taiwan’s Ministry of Culture also gathered 10 startup companies to exhibit at this year’s licensing show. Taiwan Animation Industry Association and a few other Taiwanese companies also attended the event individually. A total of 60 exhibitors from Taiwan participated at this year’s event. TAITRA’s Taiwan Pavilion of 40 companies was the most impressive. During the exhibition, organizers of similar events from Japan, Shanghai, Shenzhen, Hong Kong and other places took the initiative to visit and invite TAITRA to organize similar trade delegations to participate at their exhibition. During the exhibition, TAITRA also planned two product presentations, inviting important media and related industry buyers to attend. The presentations give exhibitors a chance to exchange information with international buyers and the media and enhance international exposure. According to the International Licensing Industry Association (LIMA), sales of licensed products remained stable in 2016, up 4.4% from 2015 and reached US $ 262.9 billion. Entertainment/cartoon category remains the largest in the industry, the retail sales amounted to 118.3 billion USD, accounting for 45% of the global licensing market. North America remains the world's largest market in the licensing industry, accounting for 57.9% of the global market. However, the Asia-Pacific licensing market is the fastest growing region in the world. The growth rate of mainland China, Taiwan and Hong Kong combined is as high as 25%. Making it an important market for the licensing industry. TAITRA, supported by the Bureau of Foreign Trade, will continue to assist Taiwan's original IP companies to seek international opportunities in international licensing exhibitions such as Licensing Japan and the Shanghai International Licensing Show. The 16th Hong Kong International Licensing Show is Asia’s largest event of its kind. The Show features over 860 brands and licensed items covering cartoon characters, animation, education, art, lifestyle, fashion, restaurant licensing. Together with the concurrent Hong Kong Toys & Games Fair, Hong Kong Baby Products Fair and Hong Kong International Stationery Fair, the four fairs bring more industry players and buyers. 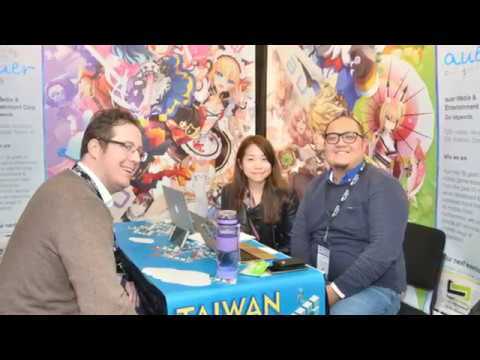 Top international licensors and licensing agents such as Capcom, Bandai Namco, Warner Bros, Sanrio, MTV, Dora, Teenage Mutant Ninja Turtle, Sponge Bob, Sesame Street, CAA-GBG Global Brands, IMG, LMCA, Global Icons are all here to look for more business opportunities. In recent years, the awareness of Character licensing in Taiwan has risen. Taiwanese creators are becoming more sophisticated in developing characters and stories. Through exhibiting at this Hong Kong licensing show, more potential opportunities for international cooperation can surly be achieved in the future. 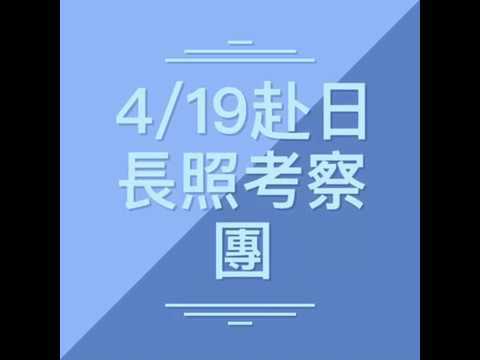 Organized by the Bureau of Foreign Trade, Ministry of Economic Affairs, and Taiwan External Trade Development Council (TAITRA), and co-organized by the Association of Chain and Franchise Promotion, the “Bubble Tea Industry International Marketing Practice Sharing Conference” successfully concluded on 2nd March, 2018. It was estimated to have attracted 126 chain brand business and bubble tea industry chain organizers, and start-ups to participate. The interaction and exchange at the venue was vivid and warm. The iconic Bubble Tea brand which successfully has a foothold overseas, especially the brands which successfully operate in New Southbound markets, including Chatime, Sharetea, Tea-Top and the raw material supplier, Chen En Food Product Enterprise Co., Ltd. All were invited to the conference to share their practical experience on international marketing and provide their secret recipes for success. The conference was expected to team up the bubble tea upstream and downstream industries, and energize other Taiwanese bubble tea brands and related industries to have overseas market layouts at a faster pace. Executive Vice President Wang of TAITRA delivered a speech on behalf of the organizer. He mentioned that that there are 3 major contributions of Taiwan’s bubble tea internationalization. First, it will drive the industry exports, including trade export increases of the equipment, raw materials, and packing materials of the industrial chain, while especially establishing the reputation of Taiwan’s agricultural products abroad indirectly. Second, it will enhance the brand visibility, increasing the international image. Taiwanese brands represent high quality, and are deeply loved by foreigners. Third, it is popular with the targeted market, and further increasing the local employment rate, stimulating consumption and driving the economic growth. To assist with the bubble tea industry development, TAITRA established the “Bubble Tea Marketing Alliance” dated on 15th November, 2017. Utilizing a specific brand identity and slogan “Taiwan Bubble Tea, Bubble Up Your Life” to promote it, 2018 is also set as the first year of the Bubble Tea Era. In the future, the alliance will play a role in industry chain integration and brand promotion, and will attend the chain exhibitions in Sydney Australia, Malaysia, Singapore and the China Food and Drinks Faire in ChengDu to set up the bubble tea zone. The alliance will compete in the international arena by cooperating as a national team to explore the international market. For domestic aspects, a series of forums will be held, and professionals from law, finance or with practical experiences, along with scholars and vendors, will have thematic sharing. Furthermore, the bubble tea brand CIS identity system will take effect to integrate the power of the membership companies, and jointly establish the national brand image of Taiwanese bubble tea. In order to enhance the exchange of the healthcare industries between Taiwan and Vietnam, under the support of the Bureau of Foreign Trade, MOEA, TAITRA invited domestic medical care institutions, and medical equipment and biotechnology manufacturers to promote in Ho Chi Minh City. To comply with Taiwan Expo 2018 in Vietnam, from 26th to 28th July, TAITRA exhibited featured medical technology, high-quality medical equipment, and innovative biotechnology inventions, by establishing the “Taiwan Healthcare Pavilion”. Taking advantage of the crowd of buyers visiting the exhibition, the "Taiwan Medical Day" press conference was organized on 27th July, 2018. Medical services and products were introduced to the Vietnamese market. The National Taiwan University Hospital attracted a lot of media attention through the case of a newborn with biliary atresia who was successfully cured in Taiwan and has grown up in a healthy condition. 30 media outlets attended the conference, including Vietnamnet, Business Review, Industry and Trade, and locals from medical institutions and related businesses, for a total of 87 representatives participating in the press conference. In conjunction with the "Taiwan Medical Day" press conference, Taipei Veterans General Hospital signed an MOU with Ho Chi Minh City Children's Hospital, which was jointly witnessed by Mr. Walter Yeh, President & CEO of TAITRA and Representative Richard R.C. Shih of the Taipei Economic and Cultural Office in Vietnam. This MOU signing ceremony is the implementation of the government’s “One Country, One Project” medical exchange under the New Southbound policy, and was fulfilled in the Taiwan Expo in Vietnam. In the future, TAITRA will continue to play the role of an exchange platform between the two sides. 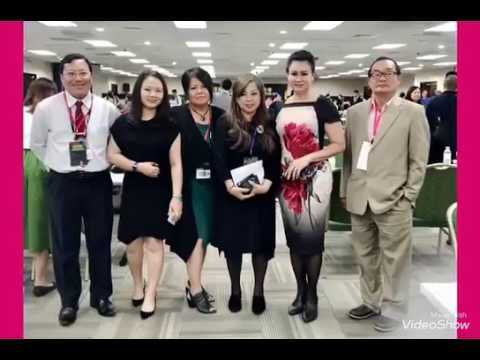 The referral of Vietnamese patients to Taiwan for medical treatments, the training of medical staff from children's hospitals, and the import of Taiwanese medical equipment will work in close cooperation to benefit more patients from Ho Chi Minh City. The annual budget for public hospitals from the Vietnamese government only accounts for 0.9% of the country’s GDP. These budgets are only enough to take care 30% of the population. According to the latest statistics from The World Bank, the number of beds available to every 1,000 people in Vietnam is 2.005, with care from 0.4 doctors. Therefore, it is a trend for Vietnamese people to seek medical treatments overseas, and this has shown significant growth in recent years. Since 2012, Vietnamese people have traveled to Taiwan for medical treatments. In 2015, more than 2,000 local Vietnamese came to Taiwan for medical treatments, with rapid growth by 2017. Mr. Walter Yeh, President & CEO of TAITRA pointed out at the press conference that Taiwan has advanced technology, high quality, and competitive prices in healthcare industry. Taiwan is an important investment partner of Vietnam. There are frequent flights between Taiwan and Vietnam every week. Vietnam and Taiwan have similar cultural and lifestyles, which can provide a more friendly medical service environment. Vietnamese people used to go to Singapore or Thailand for international medical treatments. Mr. Yeh hopes that through sharing the successfully cured case at this press conference, more Vietnamese can be encouraged to come to Taiwan to utilize the medical services in the future. Superintendent Deh-Ming, Chang from Taipei Veterans General Hospital said that in the future, Taipei Veterans General Hospital will put efforts on medical personnel training and bridging the bilateral medical industry between Taiwan and Vietnam. Truong Quang Dinh, superintendent of Ho Chi Minh City Children's Hospital, also said that Taiwan and Vietnam have cooperated in the fields of medicine and healthcare. Taiwan has high-level and breakthrough medical technology. He hopes to take this opportunity to build a closer cooperation platform. The two sides hope that with the assistance of TAITRA and the Taipei Economic and Cultural Office in Vietnam, exchanges and cooperation in the healthcare industry will be increased. Presotea opened first branch in VietnamAs the world's 399th store of Presotea, Presotea Vietnam inherits the 00 tea drink as the owner of the five generations of tea farmers. 99% of the original materials and materials are fresh, and customers are expected to savor this natural taste. Yueshang came to Taiwan to visit the Spring Festival of 2017 Taipei International Franchise Exhibition. After negotiating with Taiwan's famous tea brand: 00 tea, he decided to be the exclusive agent in Vietnam. The Ho Chi Minh office assisted Yueshang in registering the 00 tea trademark. Taiwanese contractors signed, assisted in the opening event and the media publicity. The founder, Chen Meiyan, assisted Mr., a fifth-generation descendant from a well-known Taiwanese old tea factory. He inherited the top tea-making technology that surpassed the number of Jiazi, using fresh tea and professional quenching technology, and is committed to research and development. Rushing drinks, insisting that each cup of tea is made by means of high-pressure quenching of tea soup. "English Presotea for 00 tea is taken from Espresso," insists on the method of high-pressure extraction of espresso coffee, the cup is passed through the constant temperature timing Expresso tea machine, and the tea bag with qualitative and quantitative content is used. Fresh tea soup; not only avoids the long-term placement of the tea barrel, it may cause health problems, as well as the taste of tea that has been soaked for a long time, and the tea is also extracted, the tea is full of fragrance, the tea bottom is distinctive, and the store scene is bright and clean. The modern "Espresso Tea Maker" is lined up with a metallic sheen under the light. Through the Ho Chi Minh Office of the Association, the Vietnamese company registered the 00 tea trademark, signed with the Taiwanese company, assisted the opening event and the media publicity. The Vietnamese agent officially opened the first county in Ho Chi Minh, Vietnam on November 11 this year. The opening of the store provides consumer delivery and group purchase services, including: Twenty-two juices and teas are available. Order four cups of tea with a total price of more than 200,000 VND. The delivery distance is not included in the delivery fee within three kilometers. Photo: Opening on November 11th this year, it is located in the Presotea street shop in the first county of Ho Chi Minh, Vietnam.